When you need a new car, it doesn’t mean you have to pay new car prices. In fact, more used cars are sold in Canada every year than new, which is why at Yorkdale Dufferin Mazda, we also sell used Mazda cars in Toronto. But more and more Canadians are catching on to a thing called “certified pre owned” and buying certified pre owned Mazda cars from us. If you’re not familiar with the idea, or you’re not sure which one makes more sense for you, we’ve put together a quick comparison guide between your two options. While Canadians bought over 1.9 million new light vehicles in 2016, those sales were far outstripped by the 2.8 million used cars they purchased in the same time period, according to Desrosiers. To say that Toronto Mazda drivers love a bargain would be putting it lightly, and that’s we always have great deals on used Mazdas. Most used cars come in through trade ins, as it’s an easy, stress-free way to sell your old car when you’re ready for an upgrade. It means we always have a great inventory of used Mazda options at Yorkdale Dufferin Mazda. Canadians buy so many used Mazda and other cars because it’s the most affordable way to buy a vehicle. Because there are no restrictions on mileage or age, there also tends to be a wider variety of options than if you’re looking strictly for certified pre owned. However, in exchange, for saving on the depreciation costs that many buyers want to avoid in new cars, they don’t get the reassurance of a warranty or roadside assistance. Buying a used Mazda is clearly the best option for drivers who simply want a vehicle at the lowest possible price. Every certified pre owned Mazda vehicle is given a 160-point detailed inspection by a factory-trained Mazda technician. It’s looked over inside and out, and it requires a detailed, CarProof Vehicle History Report, which you receive on purchase. 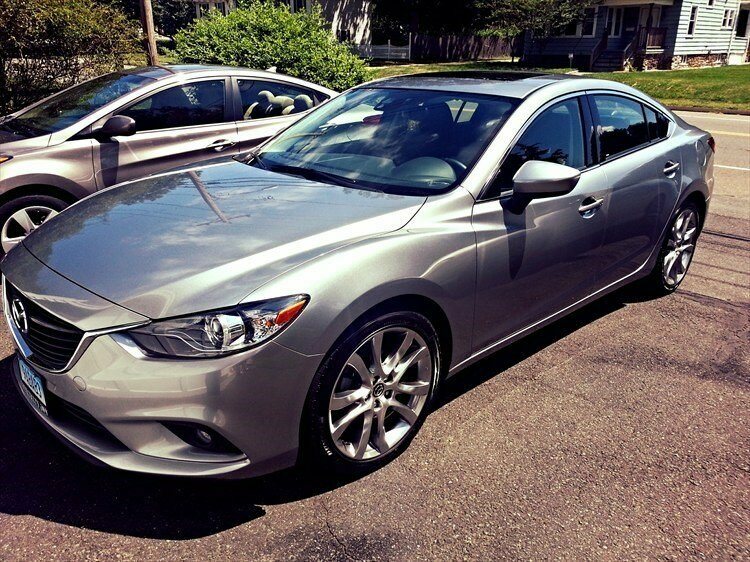 The main advantage of buying a certified pre owned Mazda in Toronto is that you know exactly what you are getting. There are strict limits in place as to how much mileage has been put on a vehicle to be certified, as well as how old it is. In addition to these quality controls, Yorkdale Dufferin Mazda also backs your vehicle with a 7-year, 140,000 km limited powertrain warranty, and 24-hour emergency roadside assistance. In other words, by buying pre owned, you get all of the perks of a new car, and you can still save anywhere from 25-40 percent off the price new. It’s surprising more Canadians don’t buy certified pre owned; you might call it the best kept secret in the Canadian automotive market, only we’re not trying to keep it a secret. Stop by the dealership and see what we have in stock, or just check out our inventory online.